Can Cholesterol Drugs Kill Prostate Cancer Cells? You are here: Home / Mens Health / Can Cholesterol Drugs Kill Prostate Cancer Cells? According to world renowned prostate cancer surgeon, Dr. David B. Samadi of Lenox Hill Hospital, “one of the standard treatments for prostate cancer, especially more advanced cases of the disease can include chemotherapy.” Problematically, drug-resistant cancer cells can emerge during chemotherapy, limiting its effectiveness to fight the prostate cancer. Trying to combat these resistant cancer cells, researchers have been able to use a compound initially developed as a cholesterol-fighting molecule to stop and kill cancerous prostate cells. Researchers at the University of Missouri focused on reducing the production of cholesterol in cancer cells, which could kill cancer cells and reduce the need for toxic chemotherapy. Although patients initially respond to chemotherapy treatments, prostate cancer cells can develop resistance and cause the spread of the prostate cancer. 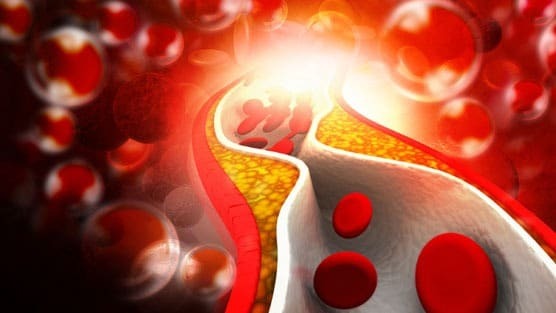 Finding a way to use the cholesterol pathway to target tumor cells and tumor growth, better therapeutic targets can lead to better treatment of prostate cancer. Chemotherapy involves taking certain drugs that work to kill the cancer cells. Chemo usually lasts for a couple of weeks and may involve having more than one round. This type of treatment is usually used when the cancer has spread beyond the prostate and to other areas of the body. Dr. Samadi also notes that, “Several recent papers have suggested that statins, medications for cholesterol such as Lipitor and Zocor, may impact prostate cancer development and progression. Considering that these drugs have revolutionized the prevention of heart disease, could these drugs truly be killing two birds with one stone? We would like to think so, and although this is exciting news, we need to be careful in how we interpret these findings.” It remains too early to recommend starting men on statins or other cholesterol fighting drugs to prevent prostate cancer. Patients who are newly diagnosed with prostate cancer can contact world renowned prostate cancer surgeon and urologic oncologist, Dr. David Samadi, for a phone consultation. Call 212.365.5000 to set up your consultation with Dr. Samadi.